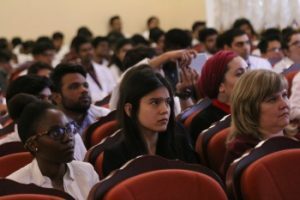 On April 26, the International Scientific Conference of Students and Young Scientists in English “Topical Issues of Medicine” took place in StSMU. 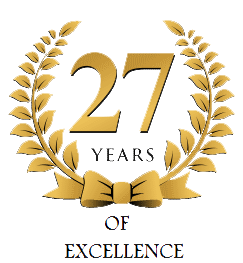 This year it is devoted to a significant event – the 80th anniversary of the Stavropol State Medical University. 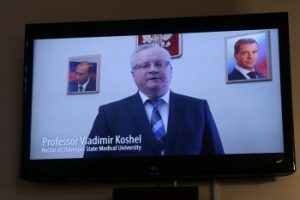 The rector of the University of StSMU, Professor VI Koshel, while in St. Petersburg at the congress of the Russian Union of Rectors, opened the conference with his video greeting in English. He wished the participants and organizers of the conference fruitful work, constructive dialogue and effective cooperation, and the heads of universities, from which the speakers arrived, expressed gratitude for organizing the participation of students in the conference. 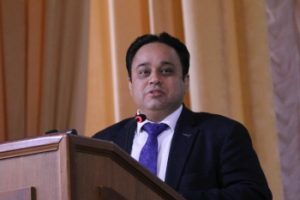 Pro-rector for academic activities, Professor E.V Koshel addressed the conference participants with a welcoming speech, noting that the tenth anniversary conference united hundreds of talented and enterprising young people from universities in Russia and foreign countries who are interested in healthcare achievements. Anna Borisovna stressed that participation in scientific circles, conferences, seminars, master classes allows the student to get involved in real scientific work that promotes the effective development of scientific relations, stimulates and promotes innovative projects, raises the interest of students and young scientists in research work. President of the All-India Association of Alumni of Foreign Medical Schools, President of the International Center for Medical Education and Research (Chennai, India) Dr.A.Ameerjahan Najeerul Ameen greeted the conference participants and expressed gratitude to the rector and university staff for the opportunity for foreign students to show themselves in all kinds of activities, including scientific activities. A member of the student scientific society Adzege Fareen Matilda expressed her best wishes to all participants of the conference and proudly noted that the university gives an excellent opportunity for students to acquire modern medical knowledge and invaluable experience, to conduct research work under the guidance of teachers, to exchange new ideas, participating in scientific conferences. 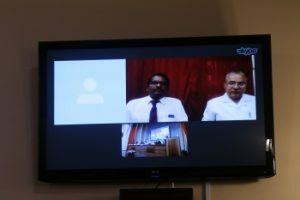 Within the framework of the conference, a teleconference was held at the Stavropol State Medical University and the International Center for Medical Education and Research (Chennai, India). Professor A. Ameerjahan, a professor at the International Center for Medical Education and Research (Chennai, India), adviser to the All-India Association of Alumni of Foreign Medical Institutes, greeted the participants of the conference and expressed gratitude to the rector and the staff of the University for their contribution to the development of medical science and fruitful cooperation. 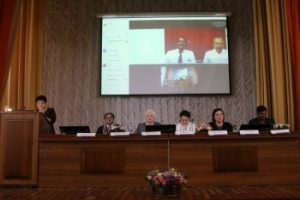 In response, the pro-rector for academic activities AB Khojayan, on behalf of the rector and university staff, thanked the Indian colleagues for their help in organizing and holding significant events aimed at supporting all our initiatives related to strengthening Russian-Indian relations in the sphere of higher medical education and science, thanks to which the image of the Stavropol State Medical University is developing in India and other countries. 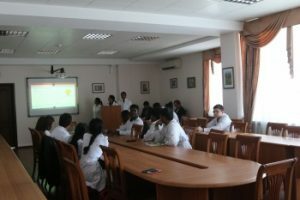 Participants of the conference listened to two on-line lectures of Indian professors, which aroused great interest among the audience: “Changes in the skin for allergic diseases” – A. Ameer Jahan, professor of Andrology, venereology and sexopathology, International Center for Medical Education and Research (Chennai, India) Ameer Specialty Clinics (New Delhi, Chennai, Madurai – India); “Skin Cover” – Dr. P. Nellaiappar, Professor of Plastic Surgery at the State Multipurpose Specialized Hospital Tamil Nadu, (Chennai, India). During the conference, a master class was conducted in English “First Aid and Emergency Assistance” (International Students’ Society of Rescuers “First Aid” under the guidance of associate professors O. V. Vladimirova and A. 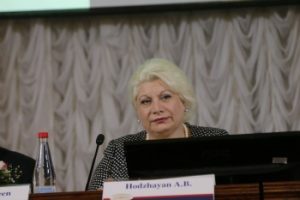 A. Muravieva). The conference was attended by 590 foreign and Russian students, young scientists and teachers. 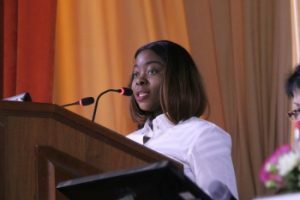 In five sections, 60 reports on topical issues of theoretical, practical medicine and biomedical sciences were presented. Speakers showed their abilities, professionalism and creative approach to research, presented original presentations. The materials of the conference published a collection of scientific theses, which included 129 works by 220 authors of Russian and foreign universities. Of particular interest were the presentations of StGMU students dedicated to the 80th anniversary of Stavropol State Medical University – “History of the University” (ZI Panchenko) and “Today’s University” (V.M. Avanisyan), as well as a film about the university. The dean of the faculty of foreign students S.V. Znamenskaya and the president of the All-India Association of Alumni of Foreign Medical Universities, Dr. Amirjahan Nadzhirul Amin, summarizing the conference, noted the relevance and importance for the science and practice of the research topics of the presenters and handed cups and diplomas to the winners, certificates to the participants of the conference. The letters of gratitude were sent to the rector of the West Kazakhstan State Medical University named after Marat Ospanov (Kazakhstan), Professor E. Zh. Bekmukhambetov, the rector of the Karaganda State Medical University (Kazakhstan), Professor RS Dosmagambetova, rector of the Moscow State Medical and Dental University named after AI. Evdokimova to Professor O. Yanushevich, Head of the Department of Orthodontics of the Moscow State Medical and Dental University named after A. I. Evdoki professor of Leningrad State Medical University, Professor SV Shlyk, Director of the Pyatigorsk Medical and Pharmaceutical Institute, a branch of VolgGMU VL Adzhienko, rector of the North Caucasus State Humanitarian and Technological Academy RM Kochkarova, Director of Essentuki branch of StSMU VI Bratus for the high level of preparation of students of their universities for participation in the International scientific conference of students and young scientists in English “Actual questions of medicine”, dedicated to onnoy the 80th anniversary of the Stavropol State Medical University. Participants of the conference laid flowers to the monument to the deceased teachers and students of StSMU during the Great Patriotic War.